We, like you, are writers. Enjoy an intimate setting with several opportunities to be face-to-face with acquiring editors, list building agents, and award-winning authors. Dr. Gary D. Schmidt is the author of novels such as “The Wednesday Wars” (a Newbery Honor book) and “Lizzie Bright and the Buckminster Boy” (a Newbery Honor and Printz Honor book), and “Okay for Now” (a National Book Award Finalist). His most recent is “Orbiting Jupiter,” and he is looking forward to the spring, 2019, publication of “Pay Attention, Carter Jones,” a middle grade novel. This fall, his “So Tall Within,” a picture book biography of Sojourner Truth, illustrated by Daniel Minter, will come out. He lives in an 1830s home in Alto, Michigan, and teaches writing at Calvin College, the MFA in Writing for Children at Hamline University, and at Handlon Prison in Ionia, Michigan. Krista Vitola is a Senior Editor at Simon & Schuster Books for Young Readers and specializes in middle-grade and young adult fiction. Her interests range from voice-driven commercial narratives to emotionally layered complex stories that feature diverse characters. She will also never turn down a sports novel, even though she was (and still is) not very good at them. Her heart always gravitates toward strong friendship stories, sister stories, conflicting relationships, and environments that spark one’s imagination. She is not a fan of high fantasy or science fiction. Krista has worked with New York Times bestselling author Colleen Houck, multi-state award winner Dana Alison Levy, award-winning author Donna Gephart, and New York Times bestselling author Alyson Noel. She is currently working on New York Times bestselling author, Tommy Wallach’s epic YA trilogy, Sean Easley’s middle-grade debut, The Hotel Between and Susan Hood’s middle-grade novel in verse about the true story of a lifeboat stranded at sea during World War II. Krista is eagerly acquiring literary middle-grade novels with commercial appeal. She hopes to find more beautifully written, visual stories that will steal her heart. Picture books that are sweet and silly, either conceptual or narrative. Realistic middle grade with strong characters in fully realized and tactile settings. Nonfiction that feels necessary and speaks to a larger narrative, either in context of school curriculum or the world readers are getting to know. 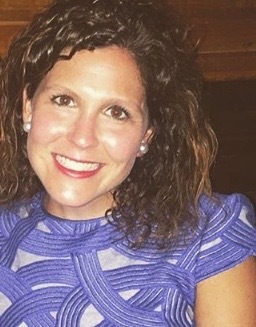 Jess Regel, an Agent with Foundry Media,represents young adult and middle grade books, as well as adult fiction and nonfiction. In the nonfiction space, she represents memoir and pop culture, with an emphasis on female and diverse voices. She also represents children’s nonfiction and YA memoir. In the fiction space, Jess is passionate about discovering projects that are compulsive, contagious, and creative. She’s particularly interested in books that are “conversation starters,” novels that bridge the literary-commercial divide, combining a high-concept plot with beautiful writing, and voice-driven contemporary stories. She’s always looking for diverse characters that tell a story from a unique perspective, and through which we see the world differently. Jess is drawn to coming-of-age stories, ambitious women’s fiction, charming and stylized love stories, atmospheric magical realism, dark and twisty suspense, and genre-bending literary fiction. She is not looking for genre fiction, such as high fantasy, sci-fi, romance, westerns, chick lit, cozy mysteries, etc. 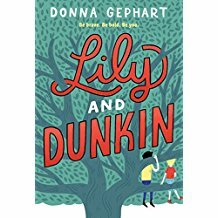 Donna Gephart creates humorous, heartfelt, award-winning middle grade novels for Penguin Random House and Simon and Schuster. She’s a sought-after presenter who inspires audiences to pursue their dreams, work hard despite obstacles and most importantly, be kind to one another. On Friday night, Donna will read from her newest book, IN YOUR SHOES, slated for launch on October 9th. If received after the deadline, your one-on-one time with your chosen Editor or Agent will be an “on the spot” session. Available on a first come, first serve basis. The earlier you sign up, the more likely you will get the person you want. You can buy additional critiques, as well, giving you more face-to-face time with the agents and editors. Gary Schmidt will be doing five critiques. They will open for purchase on September 6th. Please contact me if you are interested. A National Book Award Finalist and Author of two Newbery Honor books and a Printz Honor book. Two top-notch acquiring NY Editors. Two exciting NY Agents, looking to build their lists. Our very own local MG author, winner of numerous awards. Contact us or sign up for more information and exciting offers. 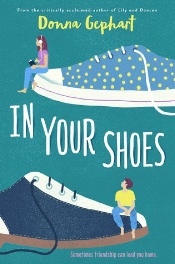 On Friday night, Donna will read from IN YOUR SHOES. Books & Books will be available and onsite Friday to sell Gary Schmidt’s newest and most famous titles. They will also be selling Donna Gephart’s newest titles. Please help support these authors by letting me know what titles you want available for you to get signed copies. We want to have enough copies for everyone interested. Please also feel free to bring your personal copies if you already have them for the book signing on Friday. Thank you!